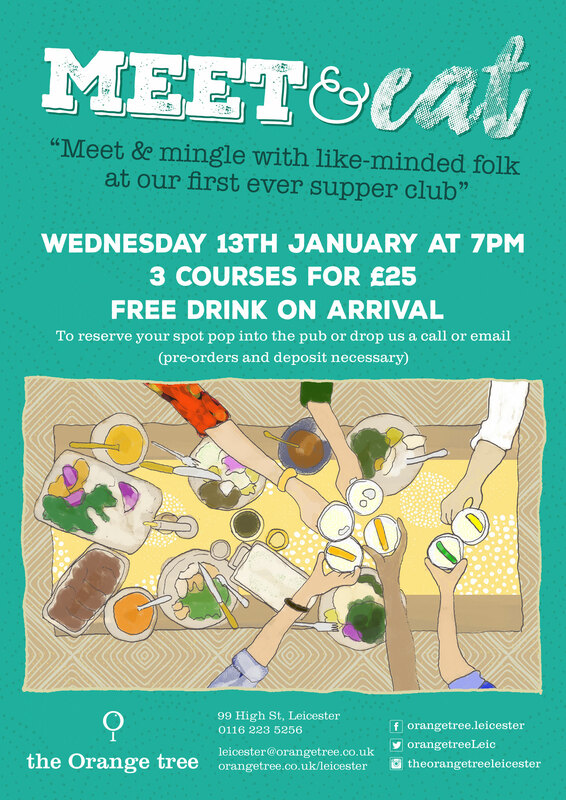 Cost is £25, thouh that includes a welcome drink. Advanced booking and pre-ordering is required – contact the venue on 0116 223 5256. Excellent news about The Queen of Bradgate. One of a pair of very low rent megaboozers that opened on the edge of the Shires/Highcross development and quickly shut because, well, they were horrible and they were 20 yards from a Wetherspoons. Since then the pair have really stunk out one end of High Street, so it’s marvellous to find the new operators are Moleface, who operate several good pubs in Nottingham including the Larwood and Voce at Trent Bridge. Have a look at the website and you get the idea. Not groundbreaking but tasty sounding food that will keep the neighbouring Orange Tree on its toes (though I’m sure there’s space for both). There’s a decent selection of beers too from the likes of Freedom and Meantime Breweries and, locally, Castle Rock and Oakham plus a selection of Belgian and other bottled beers bottles. I like it that are not calling themselves “fine food evangelists”, just people who like to have good time – when Peach Pub’s The Almanack flounced out of town last year it told us we weren’t ready for a gastropub as cool as them. Well, we will see. There were things I liked about the Almanack – I think the new Queen of Bradgate could replicate that and offer more besides. It’s set to open any day. As mentioned a few days back, there was a mini-farmers’ market in Leicester’s splendid Orange Tree Bar yesterday to mark Leicestershire Food Fortnight. 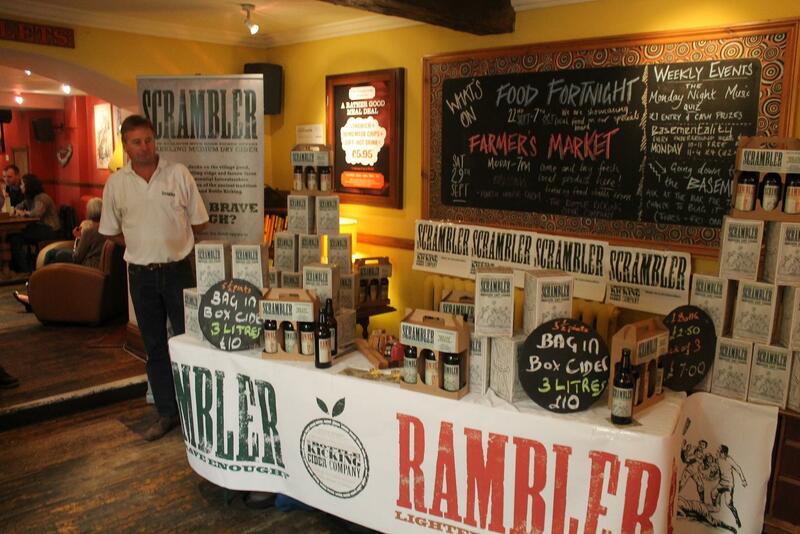 There were olives from Gusto, craft bread from Brucciani’s, great steaks and sausages from March House Farm in Great Dalby and Scrambler and Rambler cider from Hallaton’s Bottle Kicking Cider Company. It seemed a really good idea for a Saturday lunch time, not too intrusive for diners and drinkers but good exposure for the businesses. Well done to the bar for setting this up. In other news, good to see St Martin’s Tea and Coffee moving to larger premises. It will be moving across the square in October and sharing premises with its parent business the Original Cookware Company in that large, “difficult” corner unit that once held Stone’s deli. Apparantly demand for its coffee is such that they are buying a new larger 10kg roaster. I’ll probably still be buying most of my beans from the wonderful Hasbean, but it’s great that you can buy a coffee to drink made with your choice of beans and your choice of brewing process – I had a lovely cafetiere of Sumatran Blue Lingtong yesterday. Lots of Leicestershire Food Fortnight events going on right now – you can see a map and full listing here, but I’ll mention a few that look interesting. There’s a Best of Leicestershire Food evening at Bosworth Battlefield Heritage Centre on 4 October, Coalville Food and Drink festival across the town centre on 29 September, a Leicestershire food tasting day at Manor Farm Shop at Catworth on 29th, and one I’ll definitely get along to on that same day – a farmer’s market within the Orange Tree bar on High St, Leicester. Throughout the fortnight there’s plenty of restaurants offering special menus and various breweries and vineyards offering guided tours. 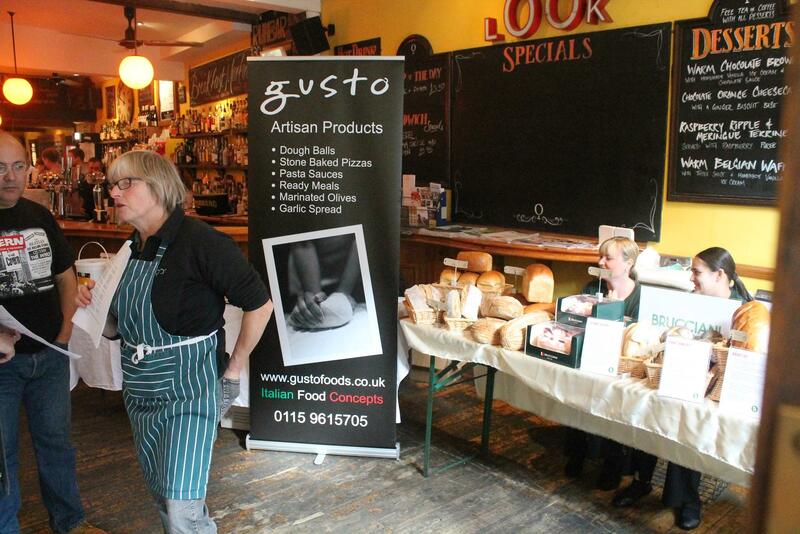 I’m afraid you’ve already missed a couple of events this past weekend featuring Leicestershire Born and Bread, but this fortnight would be still be a good time to try out Jessica’s bread or indeed book one of her baking classes.